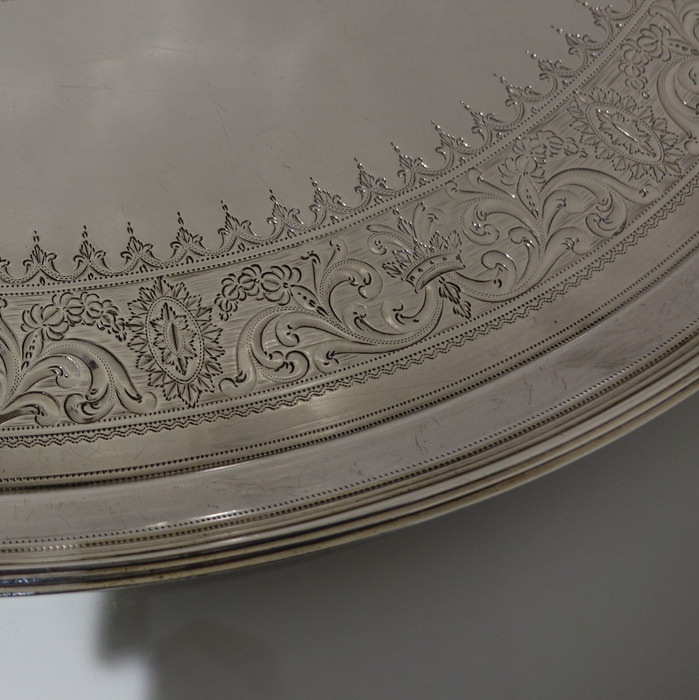 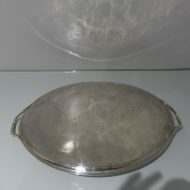 A very good example of a late 18th century oval reed border tray. 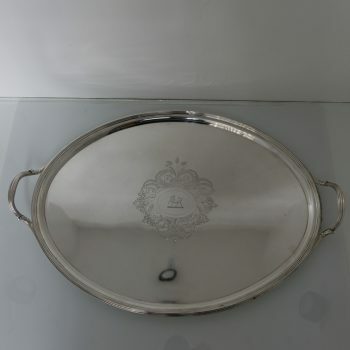 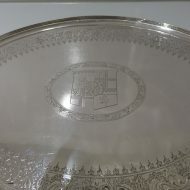 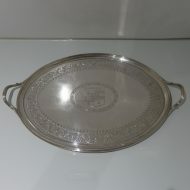 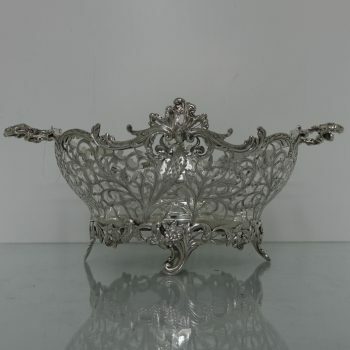 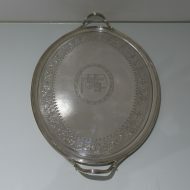 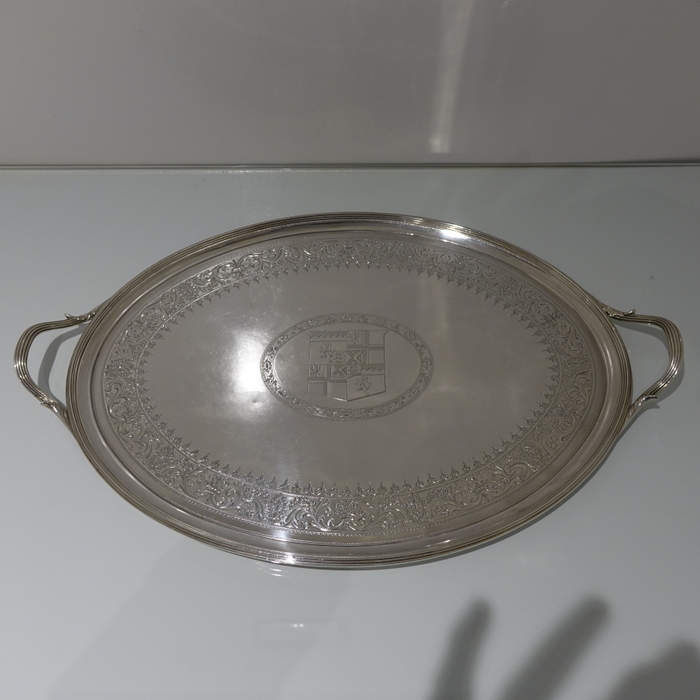 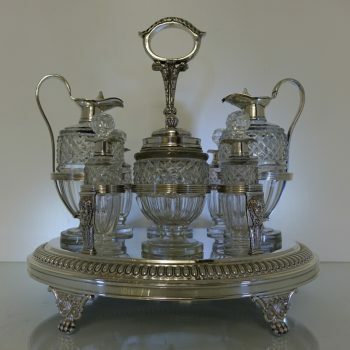 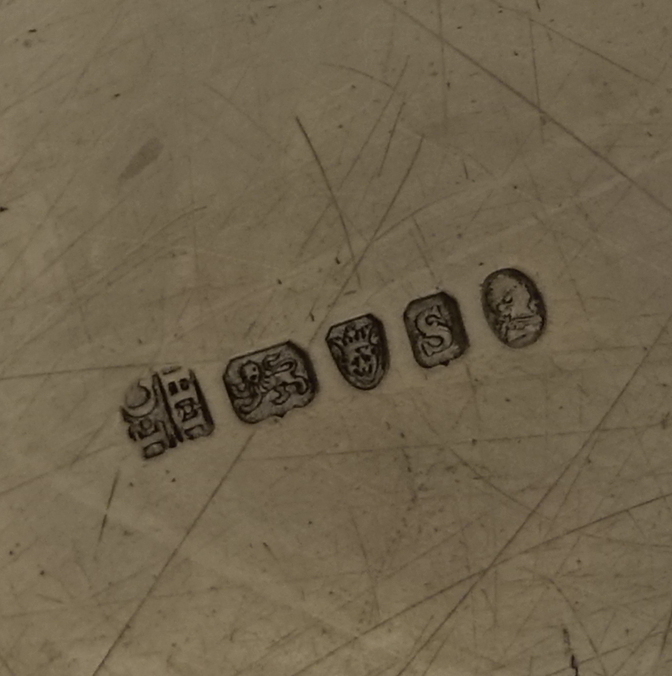 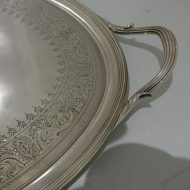 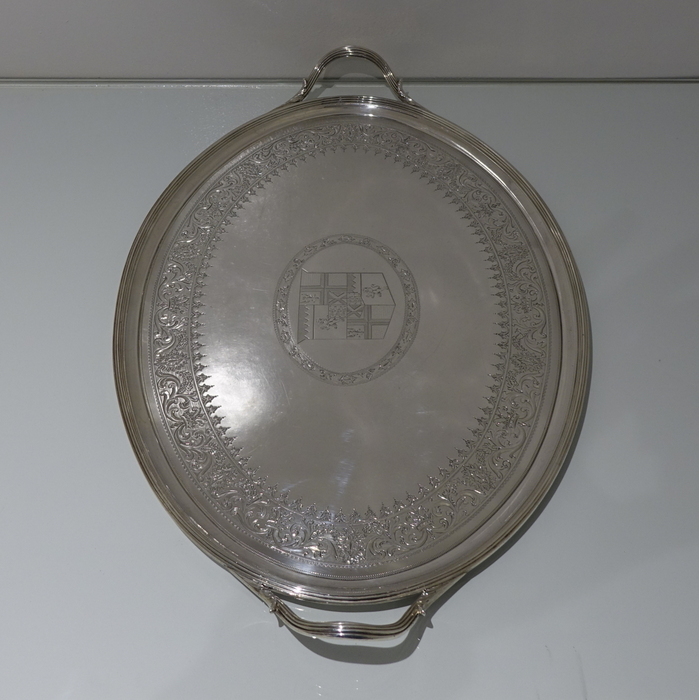 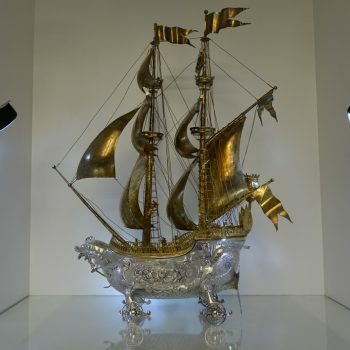 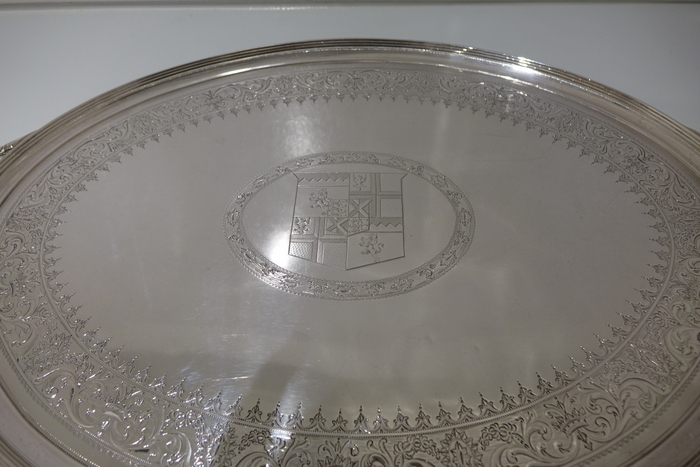 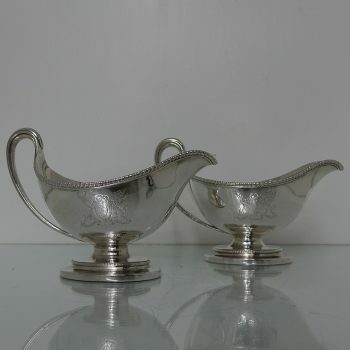 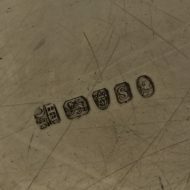 The base of the tray has beautiful intricate bright cut engraving outer decoration. 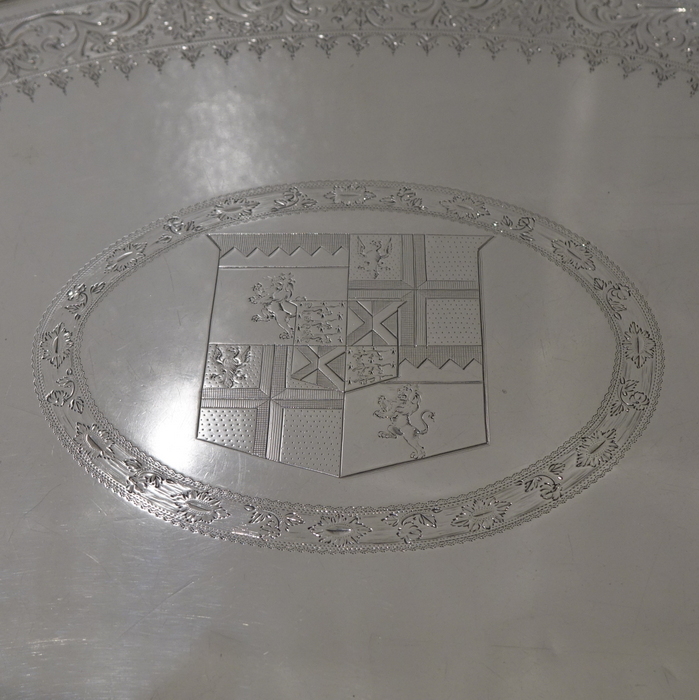 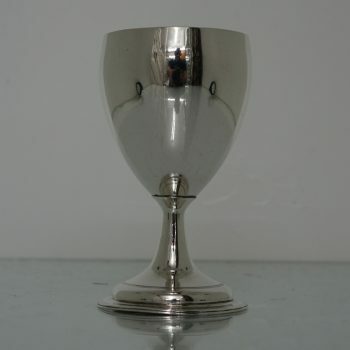 The centre front has a stylish cartouche in which sits a noble looking contemporary armorial for importance.